At this point last week those of us covering USC Recruiting were wondering who the Trojans would pursue to fill their needs at cornerback and safety, now we’re wondering if they’ll end up with a DB class of seven or eight. 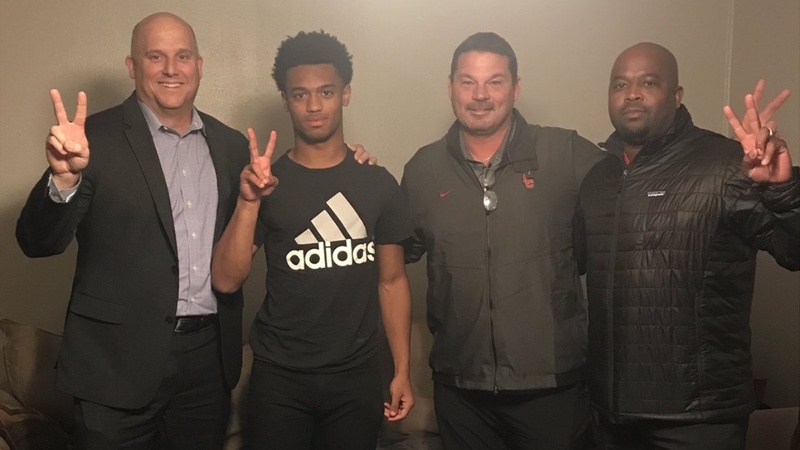 Wedensday night Clay Helton, OLB Coach Joe DeForest And DBs Coach Greg Burns had an in-home visit with North Shore (TX) DB Dorian Hewett‍, a name we weren’t familiar with until recently. Hewett told us tonight that USC came on very late in the process, but apparently not too late.